So you’ve created your first app using the game engine tool Unity. Congratulations, you’re now officially a Unity game maker and have created a ready-for-market game. The hard part is over, right? Well, let’s not get ahead of ourselves. The hard stuff doesn’t end once an indie game developer releases their first app. Problems arise when real gamers start using your app. But what are those problems? Games built with Unity can use Unity analytic tools to measure user experience and gameplay metrics, monitor an app's performance, and monetize the application. Waiting around will only cause gamers to delete your app or leave a bad review. Being proactive with Unity analytics tools provides indie game developers with a solution to discovering these issues as they happen in real time. What can you do with a Unity analytics' tool? These Unity analytics tools allow game developers to segment their audiences. This allows app owners to see the types of gamers who are coming back to play their game or who drop off after the first use, as well as potentially the overall user demographics. Did you make your first game too difficult? How would you even know? Unity analytics insights help developers see how their players are progressing throughout the game. This feature can help game makers fix problem spots in their games that are holding players up. No one’s perfect, so soon you will have to launch an app update. Those may cause problems, too! 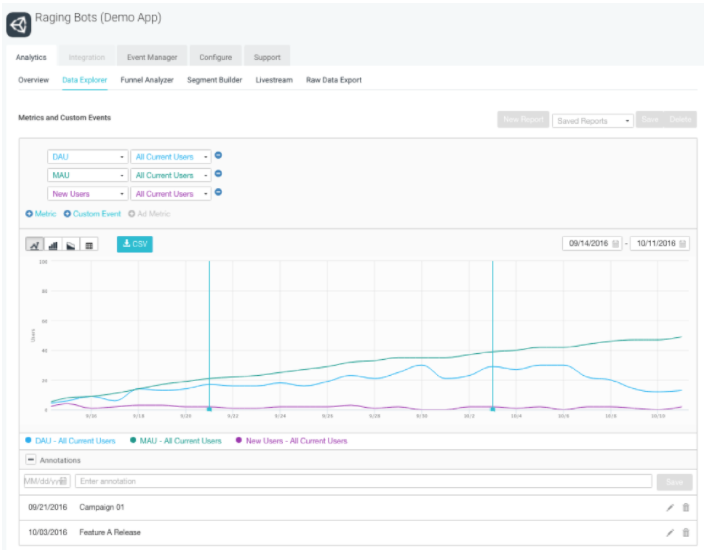 No worries — Unity analytics tools can track those updates to see the effects they're having on things such as game performance, bounce rate and gamer progression. Complex apps typically require a large investment, so hopefully you’re making a little cash off of your mobile app game. Analytics tools will help Unity game developers track how their players are interacting with their ads in different spots in their games. Of course Unity analytics helps knock out the essential monitoring needs as well. 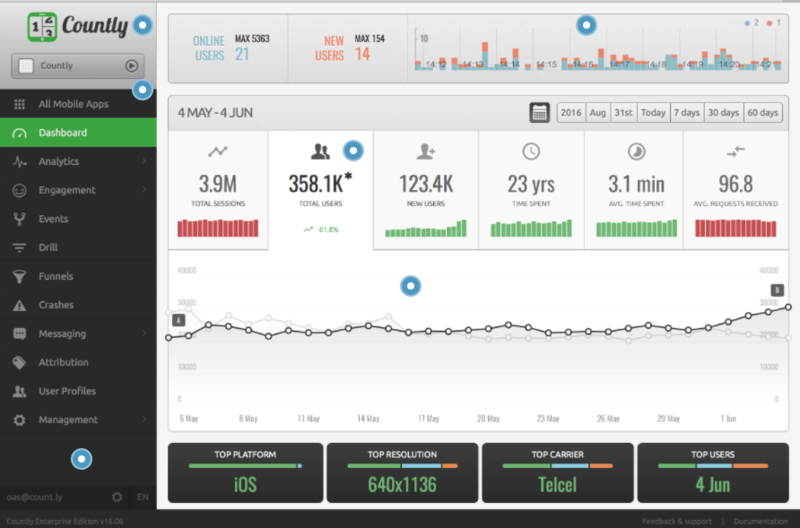 Metrics and tools such as general player engagement, onboarding and navigation are all features these game tracking tools can provide. Another great feature of many Unity analytics tools are their heat maps, showing where players are engaging with the game the most. TIP: For those looking for a game engine to build a mobile gaming app on a budget, check out the best free game engines in 2019. Now that you know the benefits of Unity analytics, here are six gaming analytics solutions to integrate into your first Unity game. Did you know that Unity has built analytics features into their game development platform? While the other tools on this list require an SDK to integrate into your Unity app, Unity’s analytics features come prepackaged. 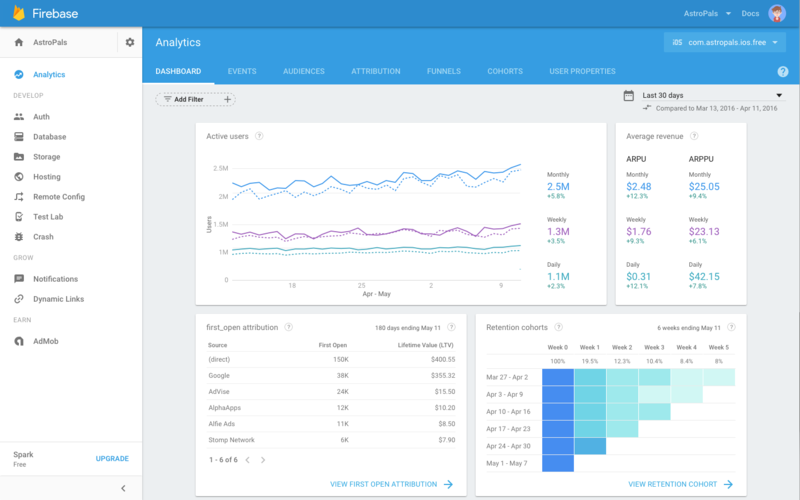 Unity analytics provides all the basic solutions you need to monitor and track your app that we mentioned: segmentation, user navigation and overall app monitoring. Overall, using Unity’s analytics features is great for indie game developers who don’t want to deal with integrating an SDK into their app. This analytics tool is used across all types of apps. Appsee makes it easy for game developers to integrate their tool into their game, requiring only one line of code to get it running. Appsee also promises that its integration has a low footprint and has no negative impact on an app’s performance. Appsee provides additional features from what Unity offers. 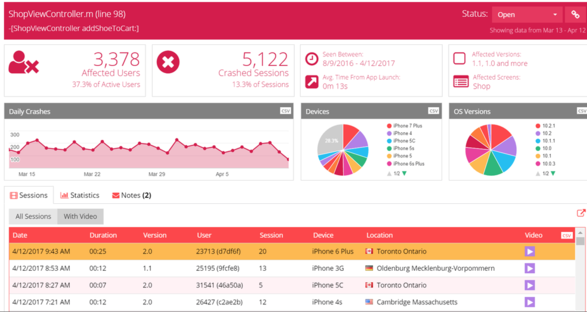 One key component is crash reporting on your app’s performance, complete with full videos of the incident. It also includes touch heatmaps to see where mobile and tablet players are interacting within your game. You can also live-monitor your players to understand how users are interacting with your game. Google’s mobile app development platform Firebase has an SDK integration for Unity that gives developers essentially the Google Analytics product for Unity. 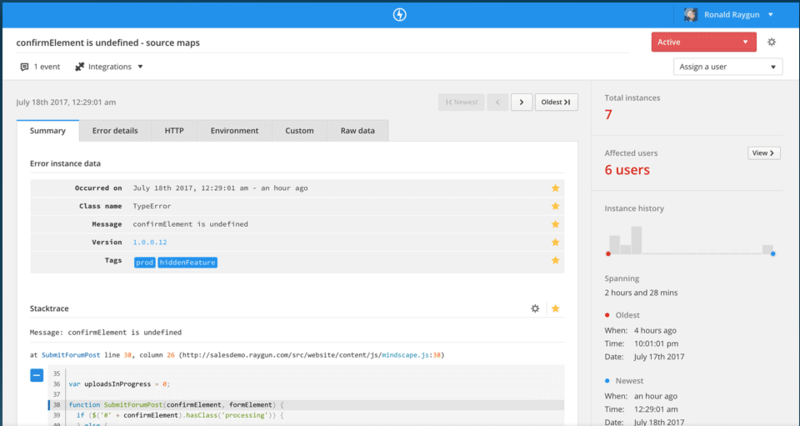 Firebase’s features are more directed toward collecting overall game usage and behavior data. Firebase focuses on two types of analytics for Unity games: events and user properties. Events monitoring allows developers to monitor the overall performance of their games, while user properties is essentially user segmentation. While not as visually stimulating or marketer-based as some other tools on this list, Google’s Firebase-Unity integration gives a solution to find the raw data behind Unity games. 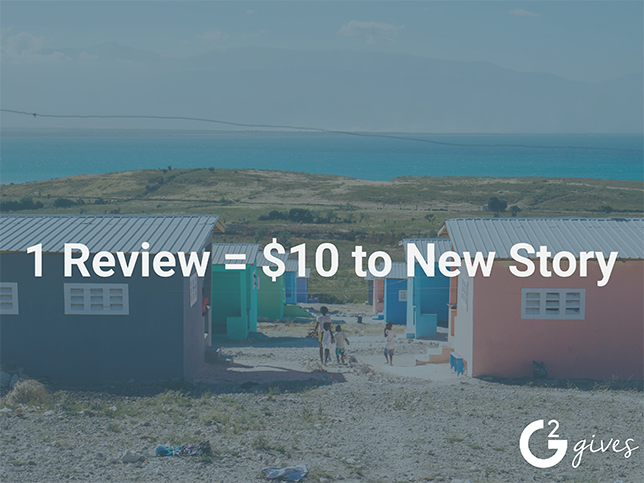 Developers love open-source tools, and Countly falls into that category. Its simple SDK integration with Unity gives developers all the tools to track the app’s performance from both a developer side and a marketer side. While Countly has the basic Unity analytics features such as segmentation, attribution and crash reporting, it brings in additional features that other tools on this list lack. The most significant is push notifications. Countly allows indie game developers to send targeted push notifications to their game users to keep them coming back to their app. Update: Countly's official Unity SDK plugin on GitHub notes that it is discontinued and that indie game developer should use it at their own risk. There are still however non-official Countly plugins that are maintained if game makers are set on using this solution. Another tool not built specifically for Unity is Adobe Analytics. The enterprise company released a plug-in SDK for Unity back in 2016 for Mac and Android apps. Adobe’s offering has multiple tiers of pricing, so I’ll focus on the least expensive one with indie gamers in mind. 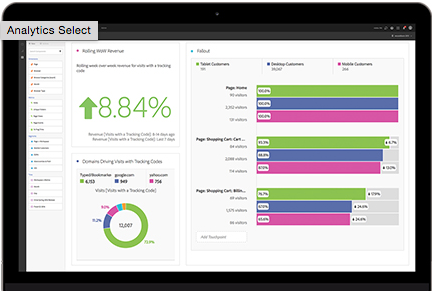 Adobe’s Unity analytics features focus on the marketing side. It allows gamers to segment their players and analyze user engagement with their tools. From a developer side, Adobe still manages to fulfill the basic event alerts and data managing. 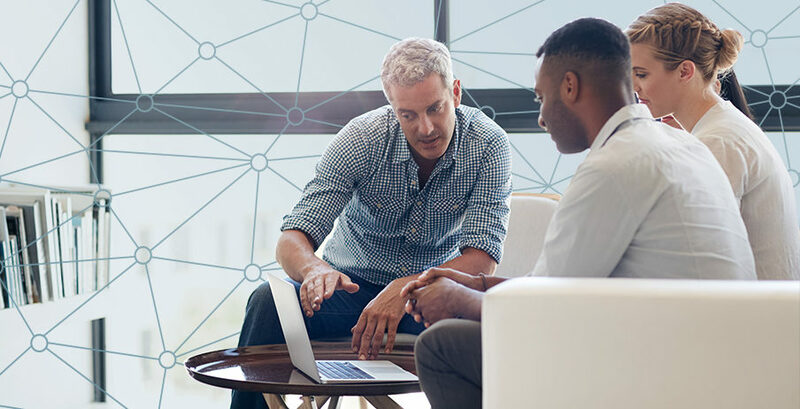 Higher tiers of Adobe Analytics comes equipped with machine learning capabilities. Unlike Adobe, Raygun Crash Reporting is a developer-focused Unity analytics tool. Its SDK also works across all frameworks, including iOS, Android and Xamarin. Raygun is really an application performance monitoring tool for Unity. Its main solutions are all based around crash reporting. From event and error tracking to user monitoring and update tracking, Raygun is a great solution for all of a game developer’s Unity analytics needs. Many of these tools have their SDK available for free on Github. While it may take extra time and effort on a game developer’s part, the benefits of Unity analytics greatly outweigh the time spent integrating the solution into a game, and can help provide insight into the performance of a game as well as which mobile app promotion strategies are working best. For those creating non-Unity apps, check out G2 Crowd's mobile app analytics category to research and find tools compatible with your game engine and platform.